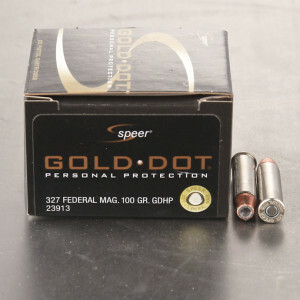 327 Federal Magnum ammo is a 32 caliber round designed for personal defense and concealed carry. Designed in 2008, the cartridge used the 32 H&R magnum with the cartridge stretched and much more powerful. The norm for 32 caliber pistol rounds was most commonly thought of an anemic pocket pistol cartridge. 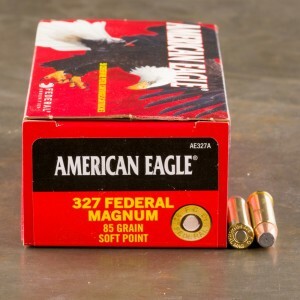 The 327 Federal Magnum knocked the stereotype out of the park in terms of power for a 32 caliber round. 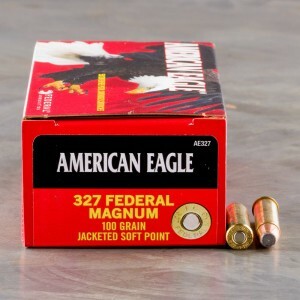 Some argue 327 Federal Mag ammo is quite similar to 357 Magnum as a cartridge. The 327 Federal Magnum can squeeze six cartridges into the space typically suited for five 357 magnum or 38 special loads. The 327 Federal magnum sticks packs a very potent punch for its size. In fact, the round is similar in velocity and weight as a 357 Magnum. A 100-grain cartridge from a 327 Federal Magnum reaches 1,400 feet per second, compared a 110-grain 357 magnum at 1,300 feet per second. 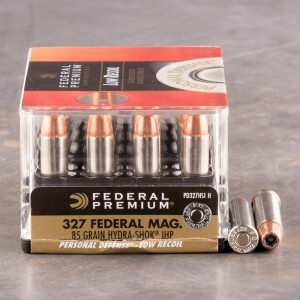 32 Federal Magnum ammunition has a very tight following among it’s enthusiasts, and many companies have produced revolvers in the cartridge available for sale. This includes Ruger, Freedom Arms, Charter Arms, and Taurus. The caliber is known to be very potent for it’s small size, and a very capable round for self-defense. I love these in my Ruger SP 101. I cannot wait to get a Henry big boy in this caliber. 2000+ fps in a 20-inch barrel. This is great ammo, very loud and never fails. I reload these.